Discover Linköping - located on the stunning Östgöta Plains in the province of Östergötland. Are you itching to dive into the heat of city life, or is a relaxing country jaunt more to your taste? You don’t have to choose – all the culture and entertainment of Linköping is just minutes away from our amazing countryside of plains, lakes and canals. 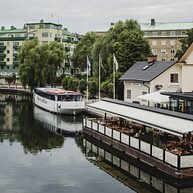 Go on a boat ride, wander the Östgöta Trail, go to the theater or have a bite to eat at one of the city’s many restaurants. Opening hours: Visit Linköping & Co:s opening hours weekdays: 8 a.m - 5 p.m. Saturdays and Sundays: closed. NB. There may be exceptions for eves/bank holidays. NB. There may be exceptions for eves/bank holidays. Linköping offers a wide range of delicious cuisine with influences from every corner of the world. But we’re particularly proud of our own Östergötland cuisine. Our location on the rich green Östergötland Plain is not only picturesque, it also gives us access to the best possible fresh-grown ingredients. All around Linköping are wide-open plains and deep, dark woods, with a wealth of lakes and waterways. Thanks to all this richness, food producers and restaurants can offer all the best that nature provides. 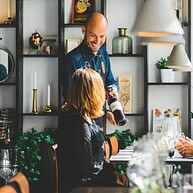 Several of Linköping’s restaurants are featured in the White Guide, a comprehensive annual list of the best restaurants in Sweden. Those restaurantes are represented below. While you’re in Linköping, don’t miss the regional speciality of Östergötland – potato pancakes with pork! 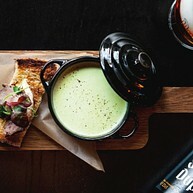 The restaurant is inspired by the Dutch “bruine kroeg” concept that emerged during the 1800s. 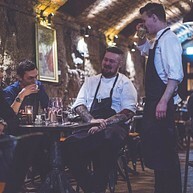 Featured in White Guide, a comprehensive annual list of the best restaurants in Sweden. Pappa Grappa restaurant is the origin and the heart of the business. Here you can eat modern food with high ambition and clean flavors in a relaxed environment with inspiration from the meditteranean. The well-stocked wine cellar offers many wonderful experiences. Here we have a chef's table concept up to 14 people who get their dining experience directly from the chef who cooks the food on your table. "Also a good class" - White Guide. Johannes Kök is a restaurant for guests thats adore high quality meats. The courses speak for themselves, timeless classics. "Also a good class" - White Guide. Restaurant, lunch and catering. Located at Stångå beach. There is outdoor dining in the summer and Stångs Brygga is open with a luxurious summer menu. "Good class" - White Guide. For more restaurants in Linköping visit www.visitlinkoping.se.